Grain producer, Danie Slabbert, wants to manage soil sustainably so that it remains productive for future generations. 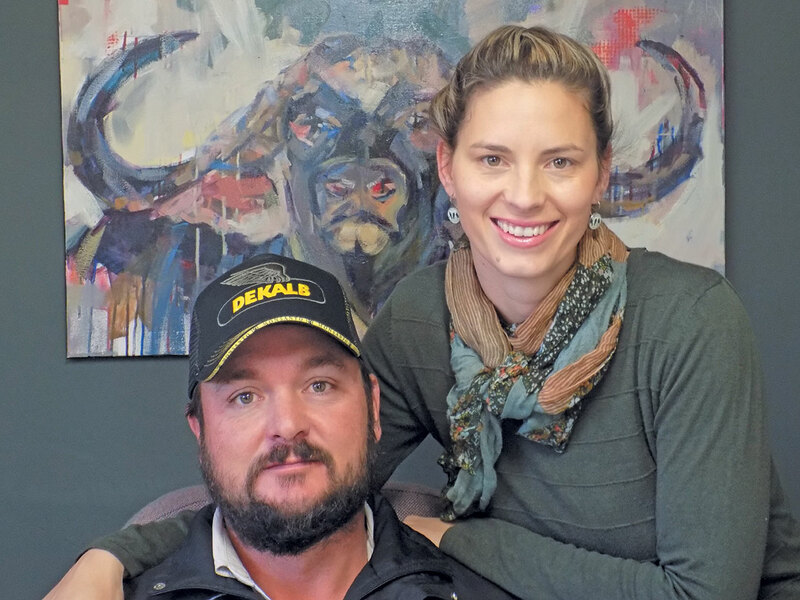 Annelie Coleman visited him on his farm in the Free State to learn more. Danie Slabbert adopted no-till practices 10 years ago, and believes that this will ensure the sustainability of his land for generations to come. Danie and his wife, Via, are the fourth Slabbert generation to farm on Van Rooyenswoning, near the town of Reitz in the eastern Free State. The area, known for its maize, wheat and cattle farming, forms part of the so-called Riemland, a region bordered by the N1, N3 and N5 routes. Danie produces maize, wheat, soya beans and sunflower on 1 000ha using no-till methods, and also grows potatoes. Danie started with no-till production some 10 years ago, after research, trial and error, and learning from other no-till practitioners. “I’m a soil farmer,” he says. The hectares earmarked for grains are divided into three areas of 330ha each. Danie initially considered dividing the land into quarters, but because wheat is a winter grain, this meant that one-quarter of the land would lie fallow. No-till production enables him to unlock the full potential of the soil, so there is no need to leave any land fallow. Danie has found that no-till farming increases the volume of water that permeates the soil, as well as improving organic matter retention and the cycling of nutrients in the soil. 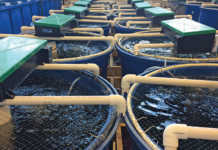 It also increases soil particle aggregation, making it easier for plants to establish roots. Yet another advantage is that it minimises compaction by reducing the use of equipment and machinery on the lands. Danie rotates his grain plantings. For maize, he favours Monsanto’s DKC 73/70B, which he plants at 45 000 plants/ha. Ten percent of the maize hectares are set aside for trials and research. Danie and his wife, Via. For soya beans, he chooses the quick-growing PAN 1454 cultivar, planted at a density of 300 000 plants/ha, and opts for the PAN 3161 wheat cultivar at 40kg of seed/ha. He plants the PAN 7102 and PAN 7160 sunflower cultivars at 45 000 plants/ha. All grains are planted at an inter-row spacing of 50cm. Danie has decreased this figure in stages over the years, from 150cm to 91cm, then to 76cm, and finally to 50cm. According to him, reducing the spacing to 50cm has resulted in vastly increased moisture retention, improved cover, and optimal use of the soil’s capacity. Danie is planning yet another inter-row decrease to 25cm, to increase the benefits of no-tillage. He also wants to retain the stover on the surface to trap water, reducing evaporation and wind erosion. The stover, he explains, will act as ‘tiny dams’, slowing run-off so that the water has more time to soak into the soil. As all the crops are currently planted at the same inter-row spacing, Danie need use only one planter size for all his crops. He has two 12-row Jumil precision planters for this purpose. 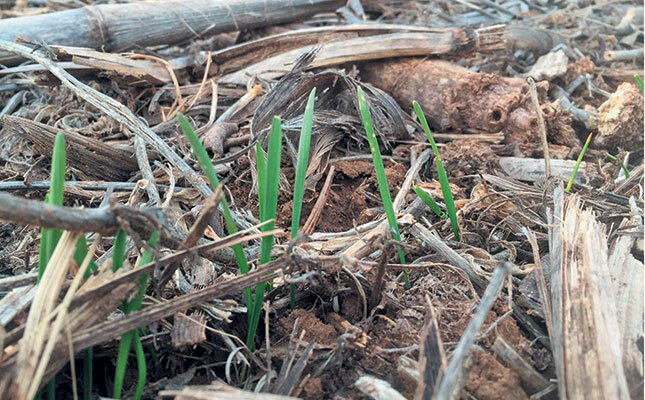 According to Danie, the soil condition has improved vastly since he switched to no-till production. 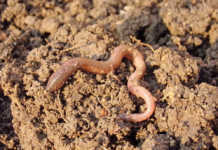 One of the indicators of this is the higher number of earthworms. Danie says that precision farming, coupled with no-till practices, is the most effective way to carry his enterprise forward without using more land. He maps and studies a third of the grain hectares in 1ha grids every year in May, so that each of the three grain-producing blocks is studied every three years. The calcium, magnesium, potassium and phosphorus content is adjusted accordingly, and fertilisers are applied with a towed Metal precision spreader. The grain lands consist of a variety of soil types. These include, among others, Hutton and Wesley soils, with a clay content of between 8% and 30%. The annual average rainfall is about 700mm. Temperatures vary from the mid-thirties in summer to below freezing in winter. Danie reaps an average maize yield of 5t/ha, while the average soya bean yield is 1,7t/ ha. The average yield for sunflower is 1,8t/ha, and 1,6t/ ha for wheat. Maize is harvested between June and July, followed by soya beans, planted between 15 October and 20 November. The soya bean harvest takes place from the end of the following March and continues in April. Wheat is planted in June and July and harvested between mid-December and January, and sunflower is planted directly after the wheat harvest. This allows time for the sunflower, harvested from the end of May, to reach full production before winter. Maize is planted from October onwards, depending on rainfall. “The beauty of this system is that I plant 330ha more than would have been the case with conventional grain production. I’m now able to rotate four physiologically different grains. Weed control is the greatest challenge on the farm. While Danie believes that soil cover and crop rotation are the most effective methods against weeds, he is compelled to use herbicide, as mechanical weed control and tillage are not options. In the case of maize, the herbicides, Frontier Optima and Vision, are applied to treat grass and broad-leaved weeds, and Fastac pesticide is used against cutworm. These products are applied before the pests appear. After the maize emerges, Danie applies the herbicides Stellar, for broad-leaved weed control, Metagan Gold for grass control, and Cyprex WG for nutsedge and broad-leaved weed control. With soya beans, he applies Hammer for broad-leaved and grass weed control, and Frontier Optima before emergence. Kalach 510 SL and Extreme also help control broad-leaved and grass weeds, and nutsedge in soya beans. After the soya bean harvest, the lands are sprayed with Kalach, 24-D Ester and broad-spectrum, Max 357. If enough rain has fallen by 10 August, Danie plants only sunflower. If wheat is planted, he applies Max 357, 24- D Ester, and Orosorb. Orosorb is a surfactant that increases the wetting and spreading properties of spray solutions, and enhances the activity of various pesticides. He applies Roundup two weeks before harvesting as part of the sunflower herbicide programme. Roundup also kills off any remaining weeds in the wheat, which allows for easier harvesting. MBFi Extreme B and Fastac with Metagan Gold are applied before the sunflower emerges. Trace element, boron, plays an important role in seed setting and sunflower yield. Danie applies the herbicides, Euro-Lightning and Max 357, as soon as the sunflower emerges, but no later than 32 days thereafter. Just before flowering, he sprays Bellis, a protectant and systemic fungicide for the control of powdery mildew, amongst others. This is followed by a second application of boron. Danie’s intense focus on his soil is forward-looking, and comes from the belief that crop farmers “have a responsibility towards the environment, and to manage the soil so it can sustain future generations”. 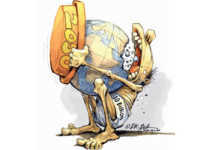 Email Danie Slabbert at [email protected], or phone him on 082 339 9018.